Categories: Compassion of God, Divine Names, Guru, Prayers, Selflessness, Social-Medical. Smt. 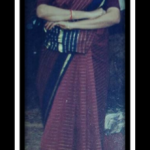 Jayanthi Ramanan is a long-time devotee of Sri Swamiji. 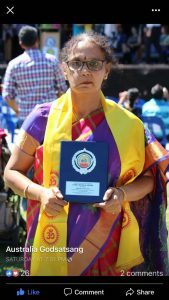 She, along with her husband and two sons, have been in Sri Swamiji’s service in Sydney, Australia for more than a decade. 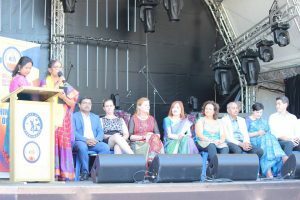 In this year’s Women’s Day celebrations, Jayanthiji was honored by the Hindu Council of Australia for her selfless service to those in need of Chaplaincy services. Sri Swamiji says “Humanity and Divinity are Inseparable”. True to her Master’s word Jayanthi ji has visited countless hospitals, homes-for-the-aged, palliative care centers, nursing homes every week since 2012. Her presence and her prayer has comforted many at a time of dire need. This award is a small recognition for her seva. G.O.D. is proud of her commitment and service to the Australian community.